Big Bang North West: Jaguar Land Rover – Mini-bots & the Range Rover Evoque’s 6th birthday! 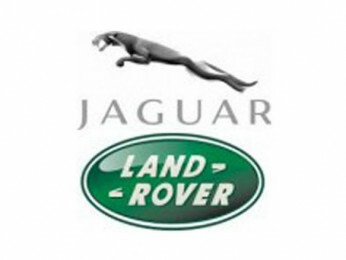 We are overjoyed to announce that Jaguar Land Rover Halewood will be exhibiting at The Big Bang North West. We can’t wait to try out their mini-bots! Jaguar Land Rover’s ‘Inspiring Tomorrow’s Engineers’ programme brings engineering and manufacturing careers to life in partnership with schools and colleges. “Our Education Business Partnership Centre at Halewood Operations offers school tours, classroom activities and work placements for thousands of students each year. JLR Halewood celebrate Range Rover Evoque’s 6th birthday! An Evoque Convertible will be at the JLR stand so visitors can take selfies and join in the celebrations for #Evoque #birthday @JLRHalewood @JLR_News – the best post on the day will win a goody bag from the Land Rover Experience Halewood shop. Jaguar Land Rover be giving out free goody bags to the first 6 young people who visit their stand, take a selfie with Evoque and tag @JLREducation. A team of their apprentices and ex-apprentices will be at their stand all day to answer any questions and give an insight into how the apprenticeships are structured. More than 6,000 young people visited JLR Halewood’s Education Centre last year to learn about engineering and the world of work. The Education Centre is running some great summer school activities in July and August. Pick up a leaflet at the JLR stand. LIMITED TIME ONLY: Book your school group now for The Big Bang North West!